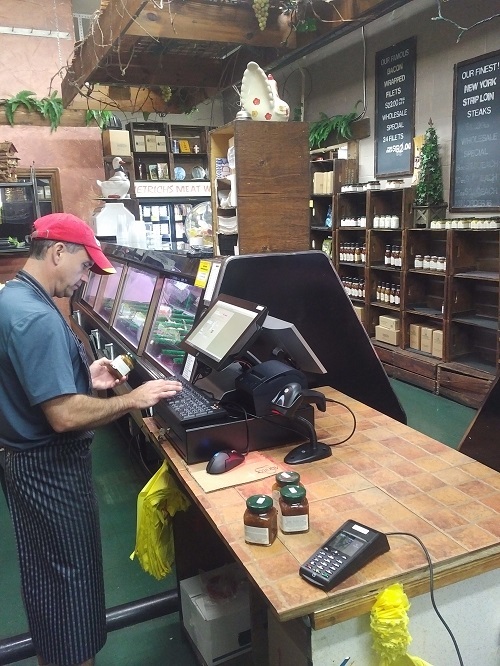 Earlier this week we were at Dietrich Meats in Oakville, where we finished another great POS System install! The HP RP9 Retail System is an all-in-one stylish system that combines powerhouse performance with reliable engineering. As a matter of fact, this all-in-one system is perfect for retail stores where space is limited. Not only can it be purchased as a counter top device but also as a kiosk or mounted on a wall. For this install we also setup the HP Single Station POS Receipt Printers, the ideal printer for any Retail Environment. This printer is one of the smallest on the market, due to its compact design. Perfect for places where space comes at a premium! It prints up to 74 lines per second and no separate power cable is required as it connects to a powered USB connection on the POS System. A POS System can be a big and costly investment. Contact us today and let us help you figure it all out!